He's the YouTube sensation who brought us the killer loose powder collaboration with MAC. Now he's back to rock the beauty community again, and this time you can expect a lot more than just a single product. 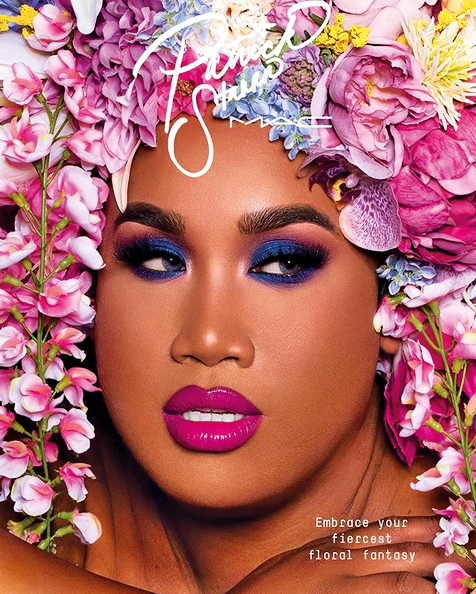 Yep, Patrick Starrr's efforts in MAC's factory have resulted in a full line up, dubbed 'Floral Realness'. Introducing a bundle of floral inspired shadows, lipstick, and face powders, the make-up maven is releasing a gorgeous spring collection that promises to have you mesmerised.